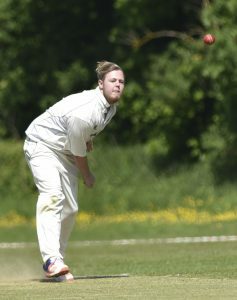 CRICKET: RIPLEY proved that, on their day, they are more than a match for anyone in second tier of the Surrey County League. Following their disappointing defeat home defeat against Effingham last Saturday, Ben Scott’s side bounced back to see off the league leaders Thames Ditton at Ripley Green. The visitors won the toss and elected to field first on a fast wicket, which was primed for a high-scoring game. Ripley initially started well, with openers Sahir Hussain and Scott scoring at a run-rate of five an over and looking comfortable at the crease.